Windows allow you to enjoy the light and view the outdoors. 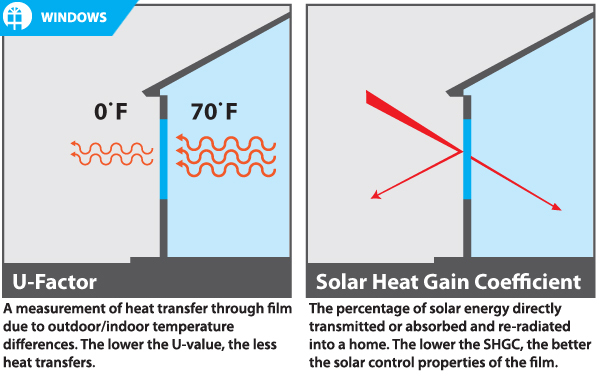 Non low-e windows can affect heating & cooling costs, and let the sun's ray damage carpets & furnitures. Home Creations uses ENERGY STAR qualified windows that keep your home comfortable and help lower utility bills. (LEFT) Windows are screwed, not nailed, ensuring a secure fit. (TOP RIGHT) The sides and top of the window are taped to prevent water intrusion. 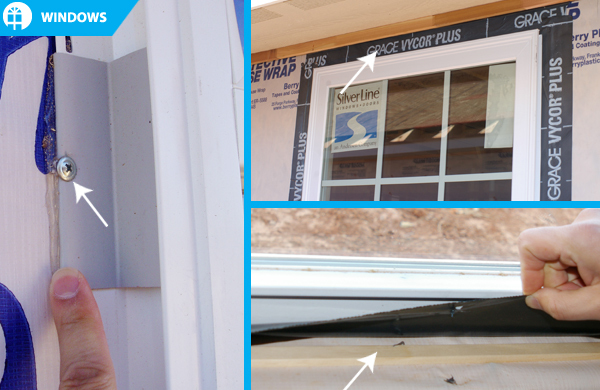 (BOTTOM RIGHT) Visqueen and screen mold installed at the bottom of the rough opening to divert moisture away from and out the bottom of the window in the event of water intrusion. (TOP LEFT) Caulking is used to seal around the windows at framing stage to prevent air inflitration. (BOTTOM LEFT & RIGHT) The low-e coating reduces the amount of UV rays in conditioned space. 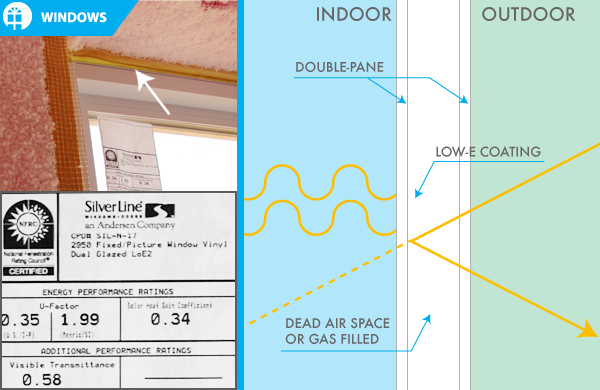 The space between panes prevents heat loss / gain.